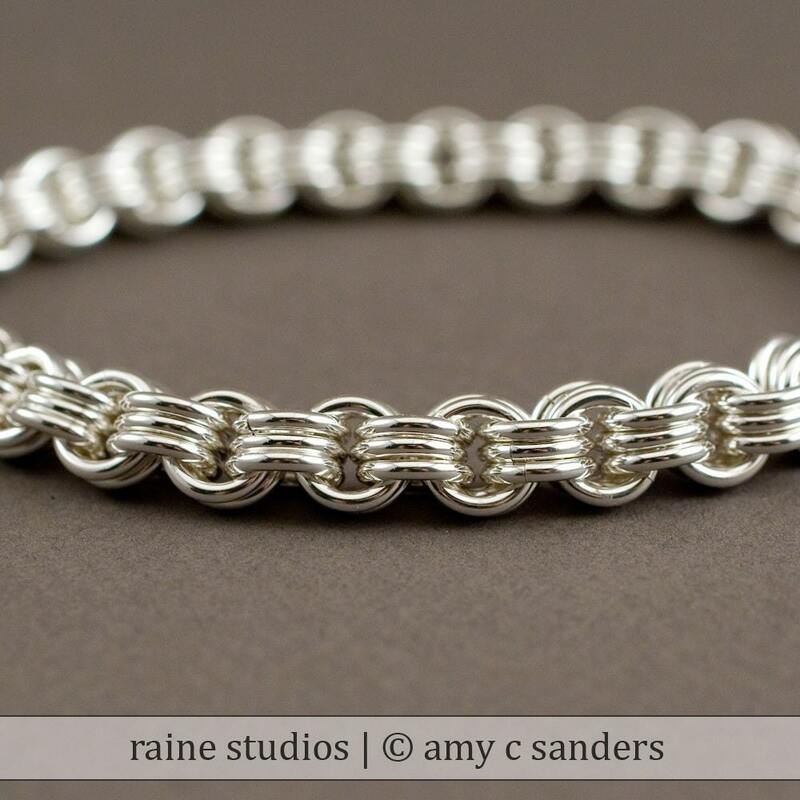 A hefty chain sterling silver bracelet, made from wire that is 1.6mm thick, this 3-in-3 bracelet has a simple industrial look that men love or make a woman's wrist look even more dainty. All rings are hand coiled and precision cut by me, then tumbled to a blinding shine. All items are shipped in lovely packaging, ready to give. Celtic Visions Star Pendant. Sterling silver chainmaille.